KelateBiZ Review 2019: Is KelateBiZ a Good Hosting? Malaysian host KelateBiZ sells SSD plans with 24/7 customer service. With this provider, experts are better served than beginners. KelateBiZ has been providing Malaysia-based hosting with 99.99% uptime and 24/7 customer service since 2015. Its website and support are both provided in English. All plans come with a free Cloudflare CDN, which is a nice touch. 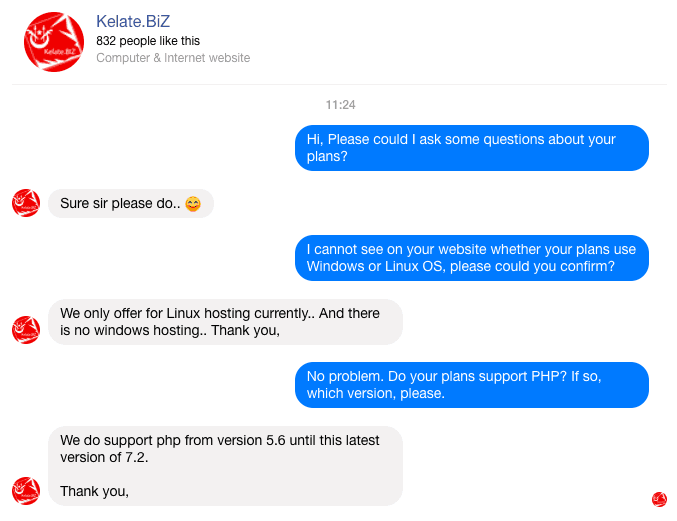 KelateBiZ’s hosting plans all run on Linux and CloudLinux (which is excellent for isolating your data from your neighbors in a shared hosting environment). SSD storage ensures disk read/write speeds up to ten times faster than HDD storage, and KelateBiz is very transparent that its 99.9% uptime guarantee is not back by an SLA. A live chat confirmed to me that expert webmasters can enjoy support for PHP (versions 5.6 through 7.2), phpMyAdmin, MySQL databases, and remote MySQL connections, as well as Cron jobs to schedule scripts. You don’t get SSH access as standard, but you can apply for it, and the support team will help you get it installed. They will also help you install any programming languages you require. Beginners don’t get as many benefits as advanced users. Although there is the Softaculous one-click installer (for an unknown number of programs), there is no website building tool. 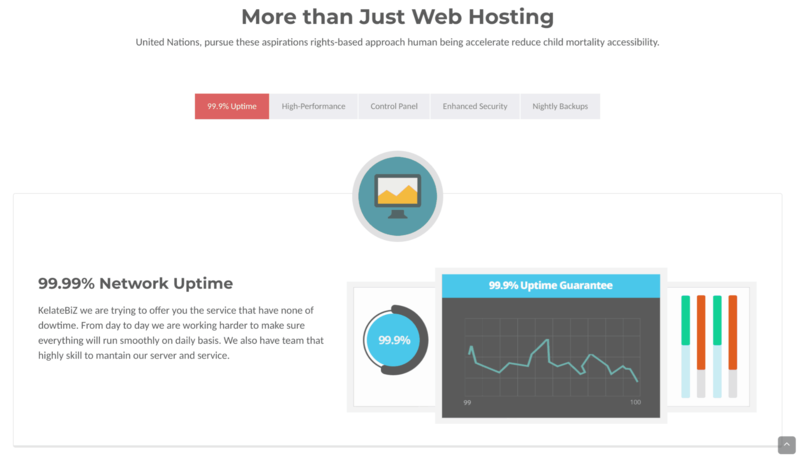 There are two tiers of shared hosting plans: Normal and Premium. The three ‘Normal’ packages are cheap, but the ‘Premium’ plans soon get pricey. After chatting with support, I was advised that the only difference between the plans is the disk space allocation and the fact that Premium plans get a free domain (which isn’t enough to justify the higher price). All plans come with a free Let’s Encrypt SSL certificate. You can purchase this provider’s plans on one, six, or twelve-month terms, with a price reduction for the twelve-month term. You can contact the team for a live chat via Facebook Messenger, or create a ticket for more formal support. My customer service experience was excellent, with the operator picking up straight away when I contacted the company at 8 pm on a weeknight. My many questions were answered expertly and efficiently. Unfortunately, the virtually nonexistent knowledge base on he KelateBiZ website imparts virtually no knowledge at all. Although not a leading Malaysian hosting company, KelateBiZ offers feature-packed plans that run on SSDs. The ‘Premium’ plans are premium priced, so I suggest you stick with the ‘Normal’ plans that give you good features at great prices. Wondering how KelateBiZ stacks up against other Web Hosting companies? Enter any other Web Hosting company and we will give you a side-by-side comparison.